John McGlinchey was born in Convoy and lives in Raphoe. 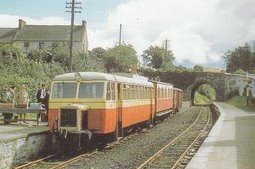 He travelled on the CDR trains in his youth and later worked for the CDR and knows more about the railways than most people today! He was recorded earlier this year by the Raphoe Family Resource Centre Group. Click below to hear John's recording. Click here to read a transcript of John's recording. The first Vittoria (carrack) was owned by Ferdinand Magellan, a Portuguese explorer. In 1519, he sailed eastwards from Europe, but was killed fighting in the Philippines. Most of his crew died too from hunger or disease. A few survivors fled by sea and Sebastian Del Cano managed to complete Magellan's planned voyage, and returned home to Europe weak but triumphant in 1522. Magellan had set off from Europe with a fleet of five ships, but only the Vittoria survived. The Sovereign of the Seas was commissioned by King Charles I and launched in 1638. Sovereign of the Seas was the first warship to have three full gun decks, carrying 102 bronze cannons. Her size and costs were unprecedented - the gilding alone cost the same as the whole hull of a two deck ship - and she later proved herself unbeatable in battle. The HMS Victory was launched in 1765 at Chatham dockyard and was commissioned in 1778. She continued in active service for the next 34 years which included her most famous moment in the Battle of Trafalgar in 1805. She is now preserved in a dry dock at Portsmouth. The causes of the famine were agricultural practices, dependence on the potato, social conditions, over-population and British constitutional policies. The continuous subdivision of land due to overpopulation and the greed of many landlords, meant that the potato was the only food eaten by nine tenths of the population and one third depended on it entirely. Thus when the potato crop failed there was famine in the land. Other food crops and animals were used to pay the rent. Over one half of the population lived in small one roomed dwellings. Two thirds of the population were engaged in agriculture. The population in 1800 was five million, by 1845 it had risen to over eight million. 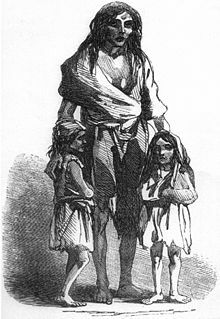 Two centuries before the famine the British were thinking that famine would be an ideal way to tame the barbarian Irish, in the famine the will became a fact. There was plenty of food in Ireland, but it was taken away, often at gunpoint and exported under military guard, to feed the population in Britain and her army. In short the famine was the genocide of the Irish nation. The results include the number of dead, cultural changes, emigration, nationalism, the beginning of the end of the land system and the Irish diaspora. The Irish diaspora (scattering) is worldwide as the result of emigration. It consists today of Irish emigrants and their descendants in Irish communities worldwide, particularly in America. It is now a formidable, well connected and talented resource of Irish communities whose pride and affection for the land of their forefathers never deserted them. 1. An Irish youth abroad looking for work and comradeship has only to make contact with an Irish community or even an Irish bar, where he will meet his fellow countrymen who will offer them friendship and help. 2. Despite her famous 'out, out, out' speech and the fact that she famously said 'the lady is not for turning' Margaret Thatcher signed the Anglo-Irish agreement twenty-five years ago because of the pressure by the very strong lobby of the very powerful and influential caucus of Irish American politicians who insisted that the American Government take a proactive stance in securing the Anglo-Irish agreement, and subsequent peace settlement.